roaring with laughter and full of fun. विशु के अवसर पर दोस्तों से बढ़ाएं और नजदीकी और भेजें ये मैसेजStart the year with a smile,Celebrate with your family and share the memories.Cherish the experience and treasure it.Let happy moments be your inspiration in life throughout the year.Happy Vishu! दोस्तों और परिवार के सदस्यों को दें विशु की शुभकामनाएंManasil ennum Kanikonna Virityatte,Jeevithathil ennum Aiswaryam nirayatteOraayiram Vishu Aasamsakal. Happy Vishu! विशु के मैसेज और कोट्स भेजकर दोस्तों को दें शुभकामनाएं:Love, peace, hope and joy all year through,These are my special Vishu wishes for you.Happy Vishu to you and your family. Love, peace, hope and joy all year through,These are my special Vishu wishes for you.Happy Vishu to you and your family. 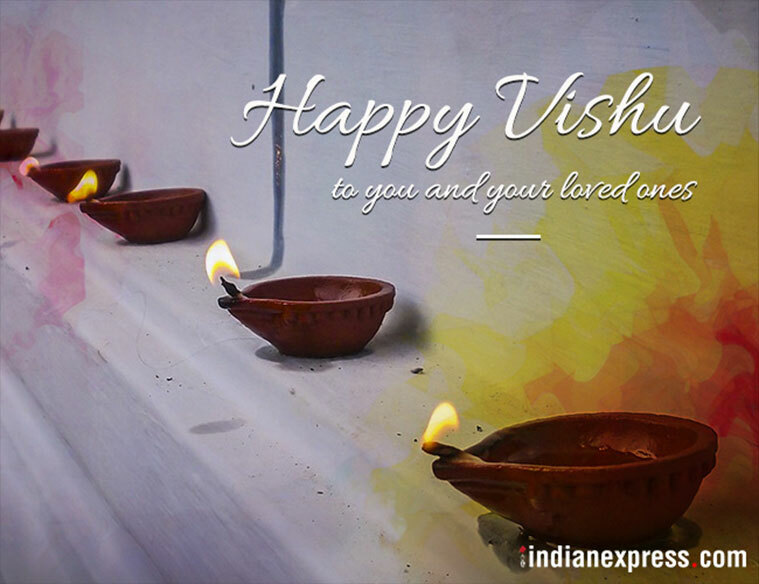 May you be blessed with peace, prosperity and good fortune.Happy Vishu!